Residential Garage Doors, Innisfil, ON | AAA Door Guys Inc.
We have over 25 years of experience working with residential garage doors in the Innisfil, ON area. Residential Garage Doors in Innisfil– When it comes to residential garage doors, we’ve got you covered. Regardless of what garage door problem you run into, we’re confident that we can help you remedy the issue in an efficient, affordable, and friendly manner. At AAA Door Guys Inc., there are a few different services we provide for residential garage doors in the Innisfil, Ontario area. Garage Door Installations & Replacements – If you need to replace your home’s garage door or simply want to install a new garage door for aesthetic purposes, we can take care of the entire process from start to finish. 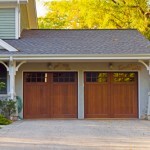 Garage Door Repairs – A malfunctioning garage door can put a serious damper on your day. Luckily, we’re here to help you fix your garage door whenever you need us. Regular Garage Door Maintenance – Signing up for our maintenance program is one of the best ways to preserve the lifespan of your garage door system and prevent emergency repair situations. When we come to service your garage door, we will perform a comprehensive, 10-point inspection. You can feel confident putting your garage door needs into our hands for two main reasons. First, we are fully insured and all of our work is guaranteed. Second, we have over 25 years of experience working with residential garage doors. 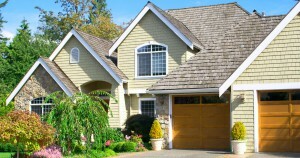 At AAA Door Guys Inc. in Innisfil, ON, we truly care about the safety and functionality of your home’s garage door. To find out more about the different residential garage door services we provide or to schedule a time for service, give us a call today. 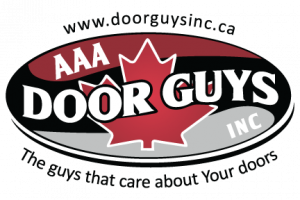 At AAA Door Guys Inc. we offer quality and affordable residential garage doors in Innisfil and the surrounding areas including Barrie, Orillia, Angus, Muskoka and throughout Simcoe County!